Protect your home from moisture with LeavesOut premium gutter guards – and never clean your gutters again. At Raleigh Gutter Guards, we live by this same standard. We strive to enrich the lives of our customers by integrating an extremely high-quality product onto your homes existing gutters. Now take a look at how it will be with LeavesOut! Wouldn’t the water just shoot off when it rains really hard? NO! 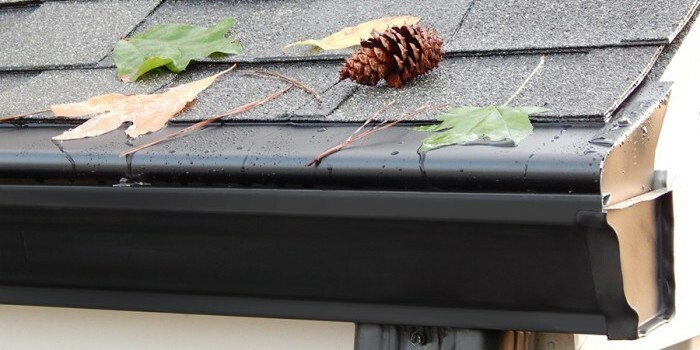 Only the leaves and other debris will shoot off of your roof, while the water takes advantage of surface tension, and curls right inside and drains away from your home! It’s covered under our warranty, which means YOU’RE COVERED! Due to my father’s sophisticated design and unique installation process, and the fact that our product is manufactured right here in North Carolina, LeavesOut Gutter Guards is able to offer competitive pricing for one of the highest-quality products available on the market today. LeavesOut gutter guards fit right over the existing gutters; we also install new gutters with guards if requested by the customer. 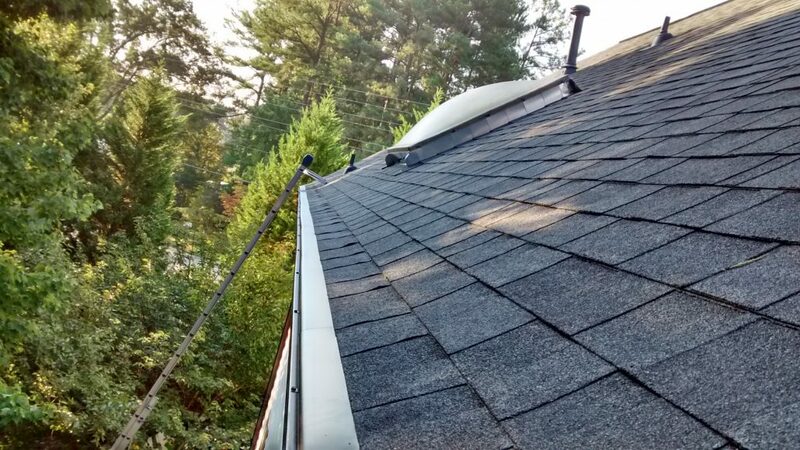 Additionally, LeavesOut adds flashing under your roof thus preventing wood rot and ice damns with a money back guarantee that our guards will never overshoot whereas our competitors put it in writing that their product may overshoot in the valleys (where 2 roofs meet in a corner) during a heavy rainstorm. 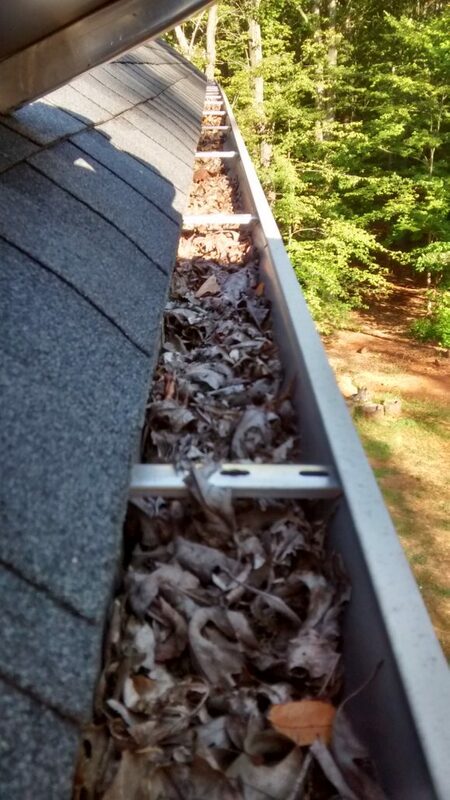 LeavesOut Gutter Guards will fit on all widths and types of gutters including 5″ to 6″ gutters in aluminum, vinyl, copper and galvanized material. Our guards can be installed not only on standard shingled roofs but also on cedar shake roofs, metal roofs, slate roofs and on virtually flat roofs to an almost vertical 23/12 pitch. Bottom line; LeavesOut can be installed where other products cannot. We have yet to find a home that we can’t protect 100%. 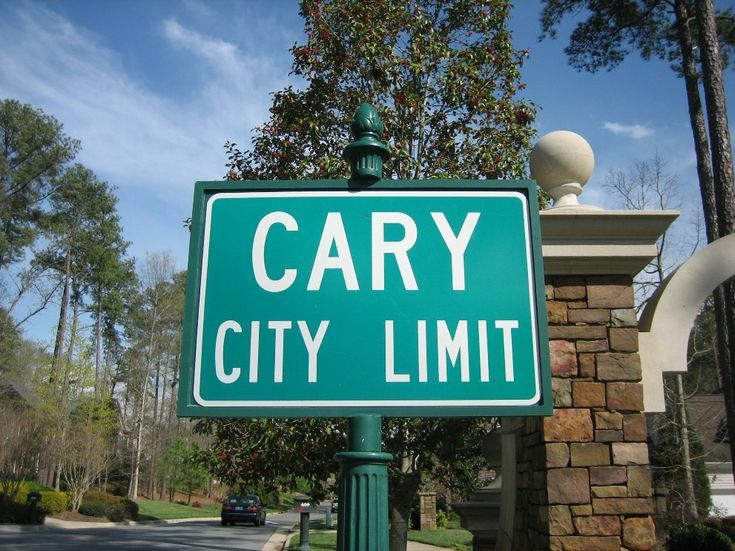 We guarantee that Cary homeowners will be 100% satisfied with our lifetime gutter protection system. LeavesOut gives you the very best performance warranty and money back guarantee!